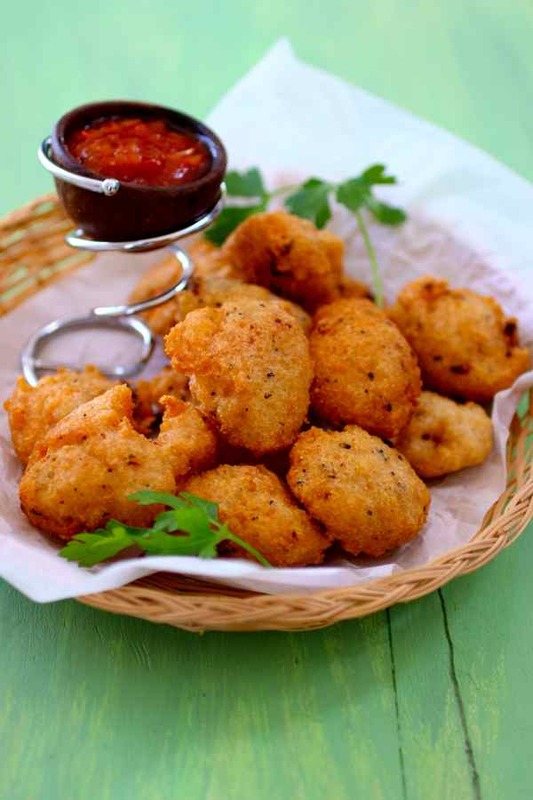 Akara is a snack that is originally from Nigeria but that has migrated to a number of West African countries as well as Brazil. It is a traditional snack from Nigeria that is also popular in Ghana, Togo, Benin, Mali and The Gambia. 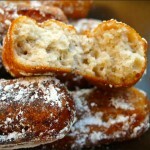 It is actually a fried cake or fritter that is a common breakfast staple or fast food. In most recipes, black-eyed peas are used. When they are not available, any other related bean such as cowpea can be used. Usually, the beans are soaked overnight so that the outer skin is removed. Then the beans are ground, seasoned with spices, and finally deep-fried. In Salvador-Bahia in Brazil, it is called acaraje and it is the popular fast food or snack made by baianas, the folkloric black women who dress in traditional white lace tops and large flowered skirts. 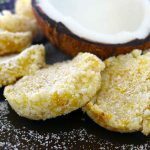 The first time I virtually traveled to Nigeria for 196 flavors, I also made a recipe that is popular in Brazil, a vegan and gluten-free cookie called beju. Acarajé was first sold during colonial times by freed slaves. These became an important source of income for former slaves after the abolition of slavery in 1886. Acarajé has a sacred origin associated with the divinities of Candomblé, an Afro-Brazilian religion brought by the West African slaves. In 2004, the craft or profession of the Baianas de acarajé was officially registered as a symbol of national Brazilian heritage and cultural patrimony by IPHAN (National Historic and Artistic Heritage Institute or Instituto do Patrimônio Histórico e Artístico Nacional in Portuguese). The origin of the word acarajé is interesting. Yoruba people (an ethnic group of Nigeria and Benin) shout “acará -je” when they sell akaras on the roadsides. This can be translated to: “I have akara” or “come and eat akara”, and that is what the Baianas women who sell it typically shout. In Bahia, acarajé is deep-fried in palm oil, also known as dendé oil, then sliced and served with various sides such as vatapá (dried shrimp paste), camarão (small sundried shrimp), pimenta (hot pepper sauce), caruru (okra stew) or salada. But back to West Africa, where this snack was originally created. 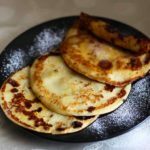 It is called akara by the Yoruba people of southwestern Nigeria, but also kosai by the Hausa people of Nigeria or also koose in Ghana where it is a popular breakfast dish. Akara, when eaten with eko, a cornmeal based side dish, plays an important role in the Yoruba culture, as it is traditionally prepared when a person has reached the age of 70 or older and dies. Akara is typically deep fried in vegetable oil, and this is how Betty and I decided to prepare them. 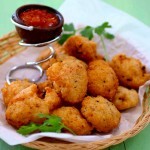 However, in Ijesha in Southwestern Nigeria, they fry akara in palm oil, in the manner they do in Bahia. It is also sometimes fried in a mix of vegetable and palm oil. 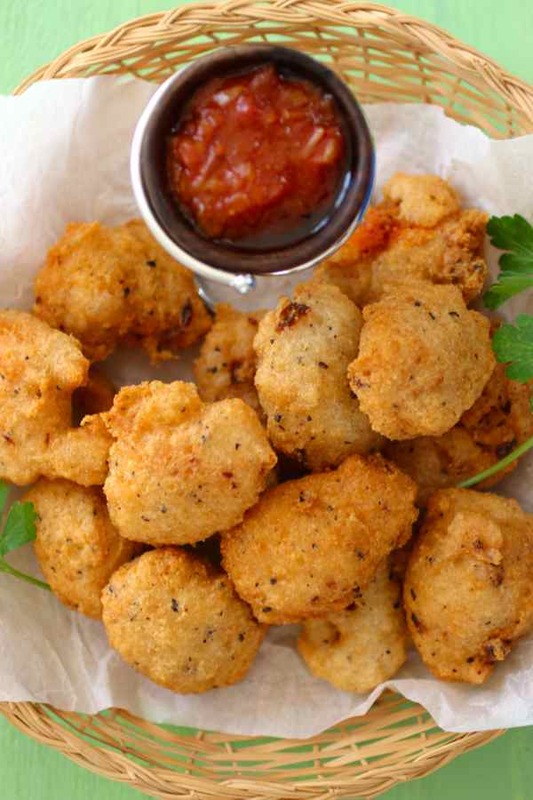 Those fritters have not only traveled to Brazil but to other countries and regions, including the Caribbean. Variants of akaras can be found in the Bahamas (acaras), Barbados (pumpkin accras), Benin (akkra funfun), Cuba (bollitos de carita), Curaçao and Aruba (callas), Ghana (kose or akla), Guadeloupe and Martinique (acras de pois zieu noir), Northern India (pakora, with chickpea flour), Sierra Leone (binch akara), or Trinidad (accras, with saltfish). 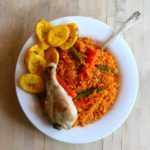 The recipe is also known as bean balls, kosai, koose and kwasi in other West African countries. This is not the first time we make akara on 196 flavors. 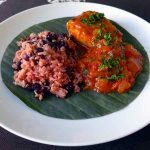 Vera had shared a sweet version from Sierra Leone prepared with bananas, as well as the salt cod version from the French Antilles. 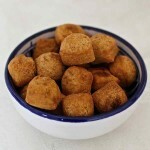 Fritters are also very popular snacks in Nigeria. Beside akara, Nigerian fried delicacies also include ojojo (water yam fritter), akara seke-pu (bean and melon seed fritter) as well as plantain mosa, or hausa masa (with rice), just to name a few. Akaras can be served alone or with various dipping sauces. I prepared a dipping sauce with palm oil, tomatoes, shallots, beef stock cube and chili pepper. Although this sauce doesn’t really have a name, it is very similar in concept to a Nigerian sauce called ata sauce (also called obe ata or obe ata dindin). I highly recommend you serve a similar sauce with the akaras. Akaras can be fried ahead of time, even though they are better when eaten immediately. If you need to reheat them, the best way to do it, as with any fritter, is to fry them again for 30 seconds, as I did with the pakoras I prepared a couple months ago. The next best way to reheat them would be to place them in one layer on a baking sheet and warm them up for 5 minutes in a hot oven. 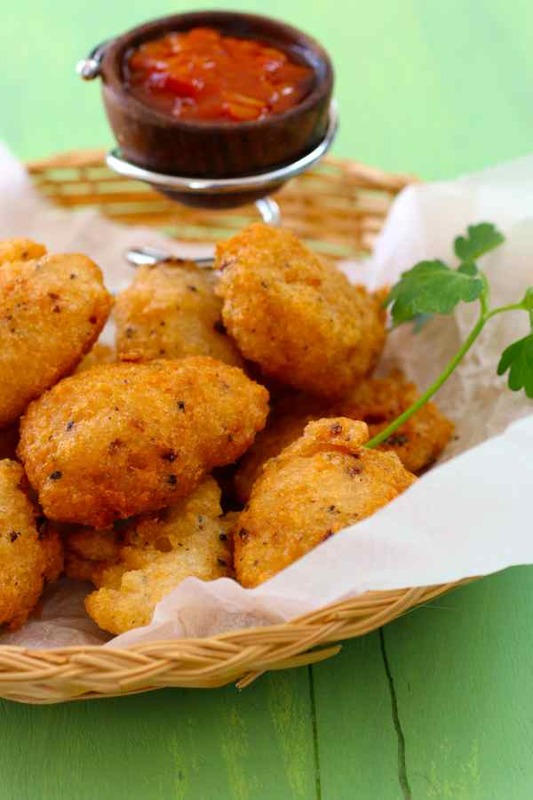 Akara is a delicious fried snack composed of black-eyed peas originally from Nigeria, but also popular in West Africa and Brazil. Soak black-eyed peas overnight in a large pot of water. Drain and add water again to cover. Loosen black-eyed beans skins by rubbing the beans between your hands. Alternatively, you can speed up the process by putting the beans in the food processor with just a little water and pulsing briefly 3 to 4 times. Transfer the beans to a food processor. Add about ½ cup of water for every 2 cups of beans. Puree until smooth and creamy. You may need to add a little more water to reach the right texture. Add hot pepper and shallots and blend again. Put the bean paste in a bowl and mix well. Season to taste and mix again. In a large pan, heat vegetable oil to 370 F. Form balls of paste with a spoon and carefully dip them into the pan. Fry until browned evenly on all sides. Place on a dish lined with paper towel. Serve hot alone or with a dipping sauce.